The Force is strong with this one. The Alamo Drafthouse has opened a new location in Omaha, Nebraska this week and if you're anywhere near there you have to go check it out. 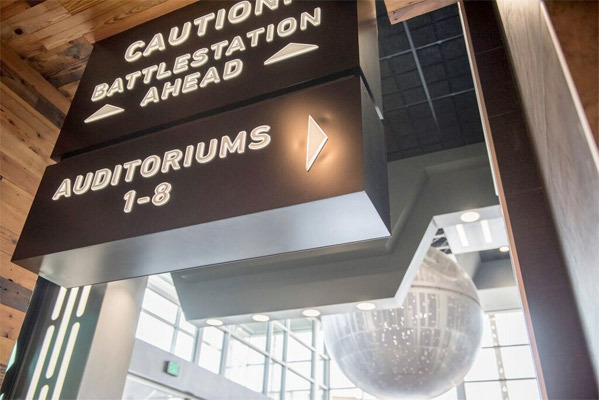 The movie theater is completely themed for Star Wars, complete with a Death Star in the lobby and an impressive concession stand made to look like it's on the Death Star. "The idea behind the lobby is that we wanted to construct and install a lobby theme that would make us unique in our Omaha market as well as the midwest." Unique indeed, and this is a permanent theme. Entertainment Weekly has posted a few photos which we've added below. I want to go see a movie here! 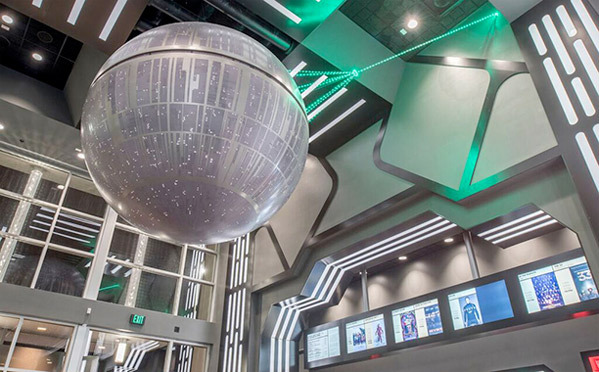 The perfect place to see Star Wars: The Force Awakens when it opens later in the month. A few photos from EW.com below, since we can't make it ourselves. So cool! The location on Google Maps. 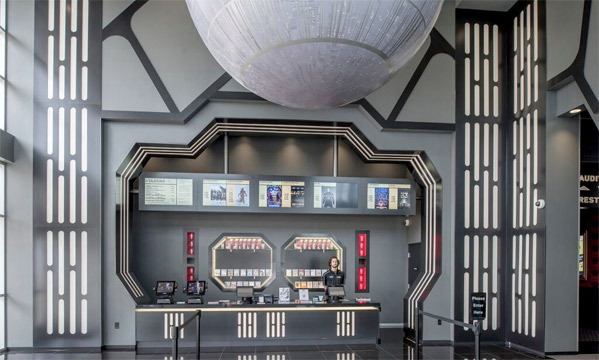 Alamo's Omaha Team told EW.com: "We also wanted a theme that was built around an iconic film and to completely own that theme to immerse our guests in the experience. That is when Star Wars came into the picture and it just so happened that we timed it out just right with the announcement of the huge plans for a new Star Wars legacy starting this December. 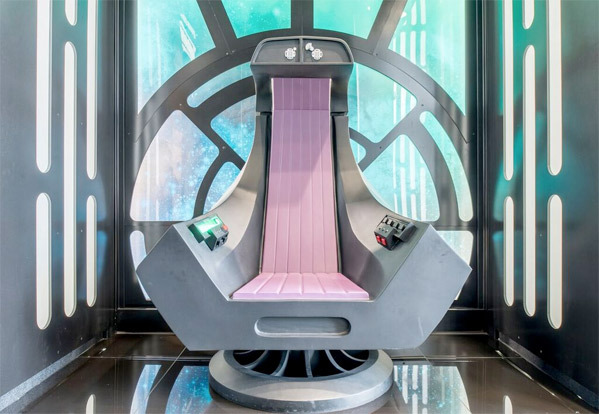 It is a permanent installation and will be thee destination to see all of the new Star Wars films." The best part about is that Emperor's throne, which is the unique photo stand at this location. The Alamo Drafthouse in La Vista, Nebraska has eight screens, all theaters include Dolby surround sound systems except for Theater 8, which has a Dolby Atmos system. One theater will be able to still show 35mm. Find tickets for films right here. For more info on the opening, visit Omaha.com.